Common Grass-leaved Goldenrod (Euthamia graminifolia). 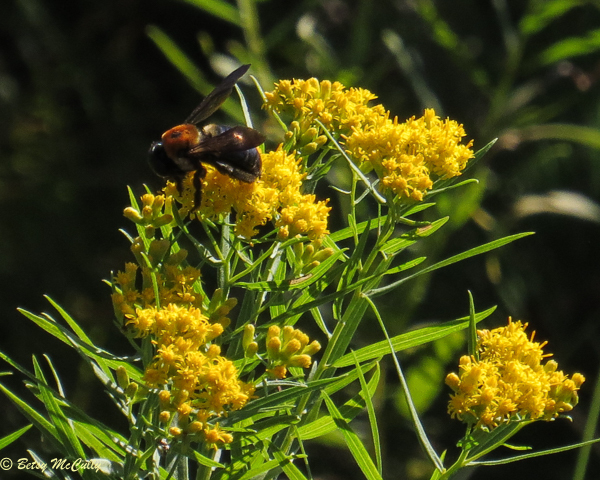 Also called Common Flat-topped Goldenrod. Asteraceae family. Native. Widespread. Fields, mashes, roadsides. Throughout. Most likely in moist places. Long Island, 2018. Pollinated by bumblebee, unidentified species.